US #1259 pictures Davis’ Detail Study for Cliché from 1957. 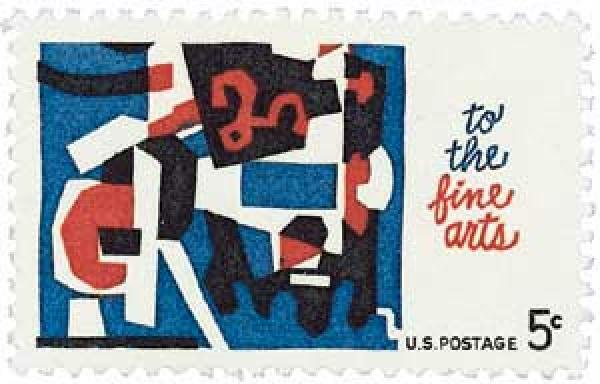 He won a contest to have his art featured on this stamp. One of America’s first modern artists, Stuart Davis died on June 24, 1964. Stuart Davis was born on December 7, 1892, in Philadelphia, Pennsylvania. The son of two artists, Stuart Davis was exposed to the creative world at an early age. US #1431 was issued on the 10th anniversary of the treaty going into effect. 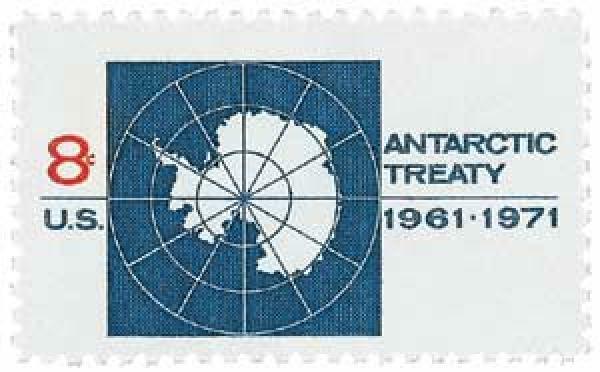 On June 23, 1961, the Antarctic Treaty went into effect. Following the 1950 International Council of Scientific Unions meeting, several scientists proposed an International Geophysical Year for 1957-58. It was predicted there would be exceptional solar activity during that time, allowing for some research that could not otherwise be conducted. US #3186i from the Celebrate the Century series. On June 22, 1944, President Franklin Roosevelt signed the Servicemen’s Readjustment Act, also known as the GI Bill, into law. When World War I veterans returned home, many had trouble finding jobs. Thousands of them flooded the labor market and most struggled to make a living, even with the government programs available. 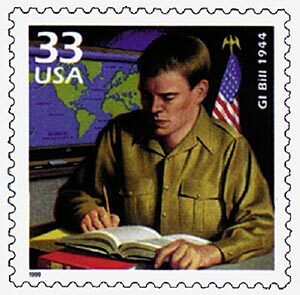 US #995 was the first US stamp honoring the BSA. 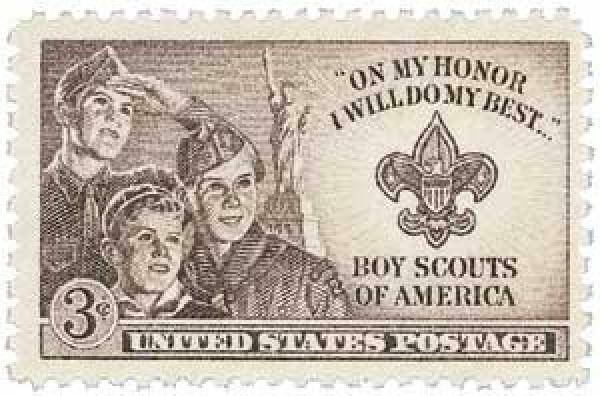 It was issued on the opening day of the 1950 Boy Scout Jamboree. Daniel “Uncle Dan” Beard was born on June 21, 1850, in Cincinnati, Ohio. Beard was born into a family of artists and spent his childhood exploring and sketching the woods near his home in Covington, Kentucky. There, he developed a love of nature and the outdoors that would one day lead him into writing and illustrating about the subject. 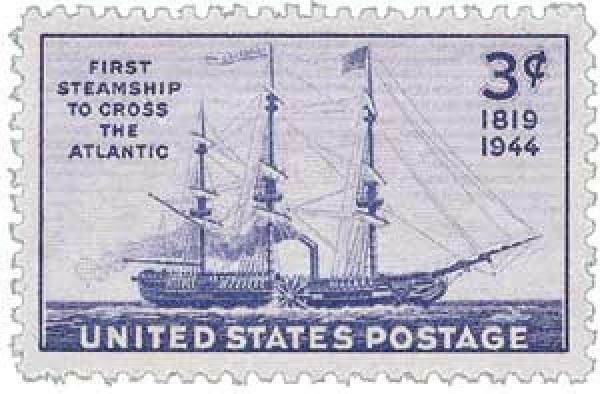 US #923 was issued on the 125th anniversary of the Savannah’s voyage. On June 20, 1819, the SS Savannah became the first steamship to cross the Atlantic Ocean. The Savannah was original developed as a sailing packet at the New York shipyard of Fickett & Crockett in 1818. While the ship was still being constructed, Captain Moses Rogers convinced a prosperous shipping firm from Savannah, Georgia, to purchase the ship, convert it to a steamship, and gain the attention and a place in history as the first transatlantic steamship service. US #2270 from the 1987 Special Occasions issue. On June 19, 1910, one of the first Father’s Day celebrations was held at the YMCA in Spokane, Washington. 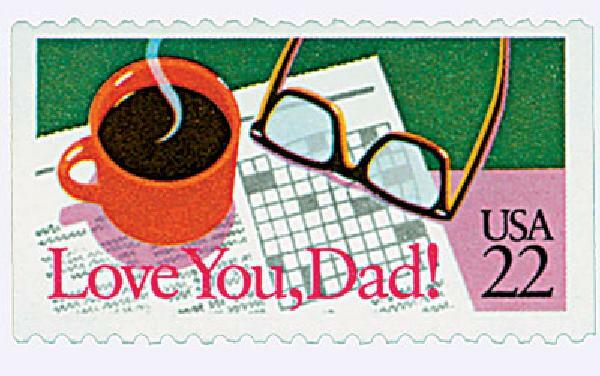 Another of the first recorded US Father’s Day celebrations was held on July 5, 1908, in Fairmont, West Virginia. Grace Golden Clayton organized that event.